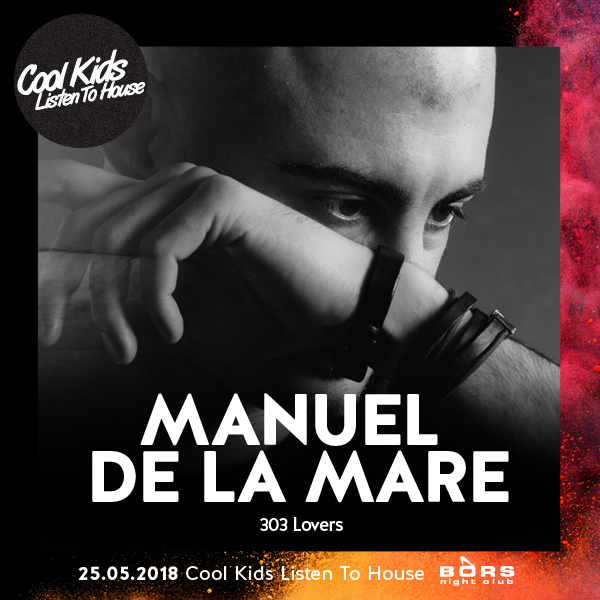 Tuscan born producer/dj, Manuel De Le Mare has spent the past 24 months delivering money-shot releases and remixes, whilst marrying a lifetime of passion and dedication to his love of DJing. This ability within his musical sphere has pricked the interest of global artists like Mark Knight, John Acquaviva and Feddle Le Grand who have all requested his studio talents, whilst leading Beatport to bestow him the award of Best Remixer 2011, a suitable follow up on his nomination for Best Deep House and Techno Artist back in 2010. Emerging as one of the Italy’s forward thinking music creative?s Manuel formulated his own sound by fusing together elements of varying genres which have long been the aural identity of his native country. Combining Italo dance, jackin? filtered and deep house, rolling techno beats and crossing minimal melodies, Manuel has been able to construct a unique musical presense that is both eclectic and flexible, yet robust and cutting edge a characterise very much found with his studio releases.